Relaxing time at Onsen after fishing. After keiryu fishing, we often drop into onsen (hot spring) on the way home. After day fishing or genryu fishing trip, It is very refreshing to wash our sweaty body in the onsen bath. It is also so nice to warm up our cold bodies from fishing, in onsen bathtub. 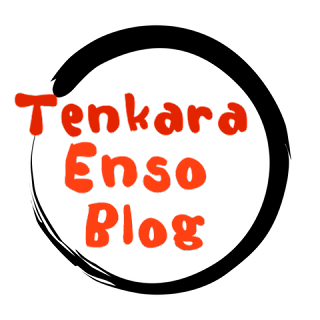 We Japanese people say “It is like being in heaven”. 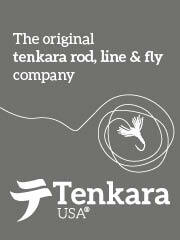 Onsen is one of the great funs after fishing for us keiryu & genryu anglers. We always go to onsen after 3 or 4 days genryu trip, but even after day fishing having onsen bath is so nice in the cold season like early spring or late autumn, especially after fishing and wading in the rain or cold weather. As a volcanically active country, Japan has thousands of onsen scattered along its length and breadth. Onsen were traditionally used as public bathing places and today play a central role in directing Japanese domestic tourism. In Japan, the statistics there are about 3150 places of onsen, and there are about 21000 onsen facilities. Already in around AD630 there was the description of onsen facilities can be seen in the literature. Onsen water is believed to have healing powers derived from its mineral content. A particular onsen may feature several different baths, each with water with a different mineral composition. White hot water smelling of sulfur, salty hot water that contains salt, smooth and creamy clear hot water, each of the onsen has its unique personality. 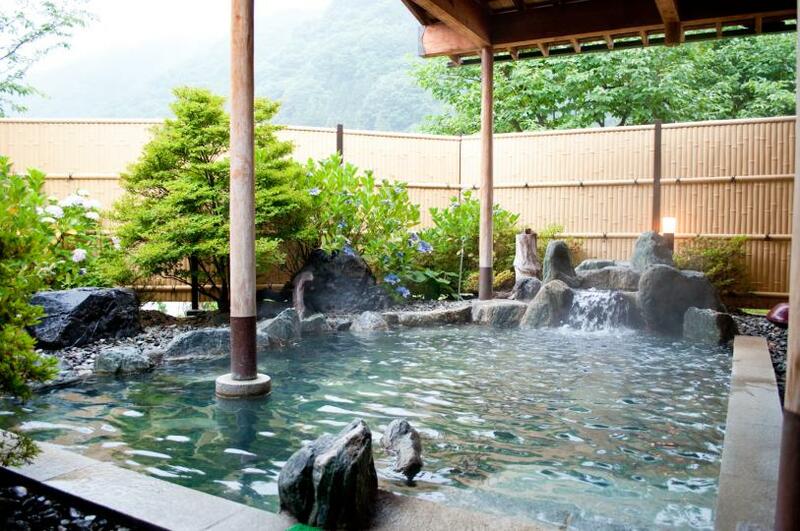 Nowadays Japanesse onsen, onsen ryokan (hotels) or onsen style bathing are well known world-widely. In recent years, the number of foreign tourists visiting Japan is steadily increasing, and onsen-yado(onsen hotels or inns) are very popular among those tourists. Altough saying “Onsen-yado”, there are many types of accommodations from luxury large hotels, to medium-sized pure Japanese style inns and small privately run bed and breakfast. We sometimes take only bathing service at those onsen-yados after fishing. As for onsen places, there are also from big onsen towns that have many big onsen hotel buildings to small mountain village’s onsen that have some traditional Japanese style onsen inns or only one small inn in the deep mountains. 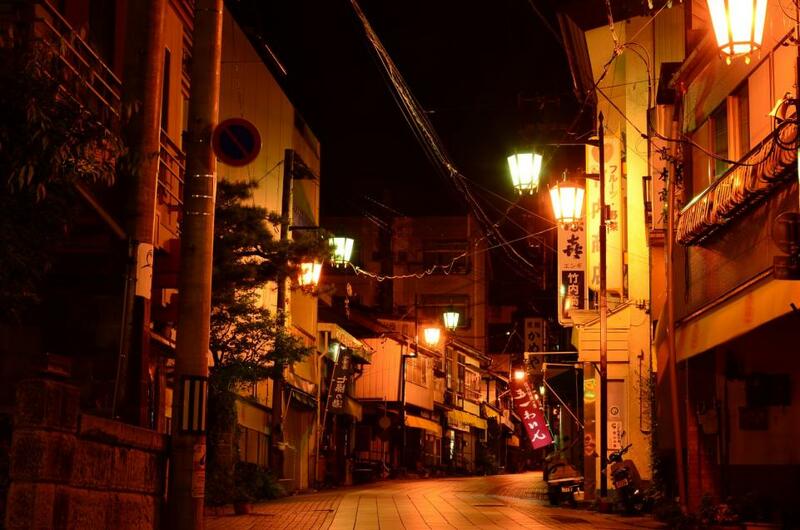 Big onsen hotels have many onsen baths, open-air baths and in-door baths, and small onsen inns have few onsen baths. 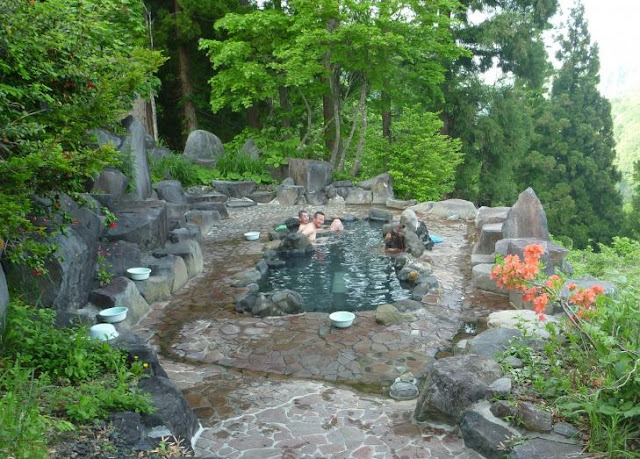 There are also many municipal hot-spring facilities and public onsen baths in most of onsen places, and those facilities have been loved local people and travelers for a long time. 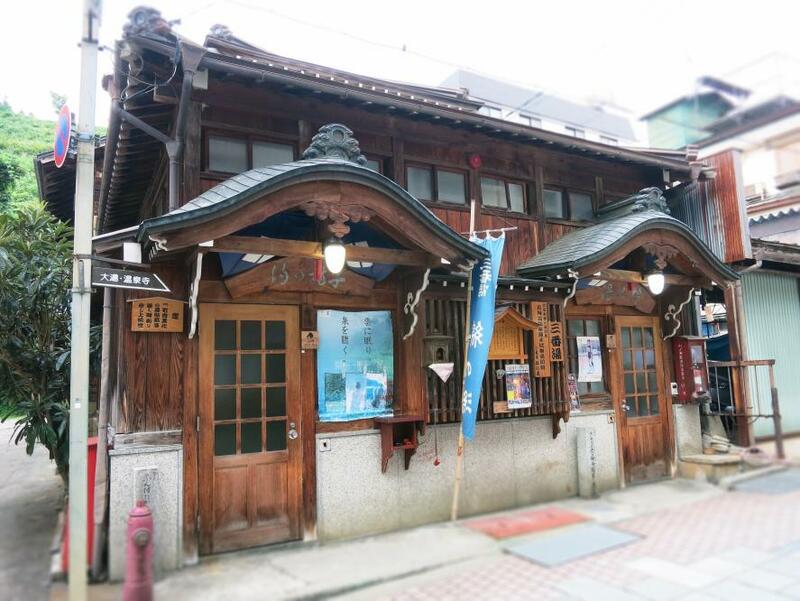 I personally like those old and historic public onsen baths and visit those public onsen baths after fishing much more than onsen hotels. Most of those baths are small and have classical looking, but I really feel the charm there. 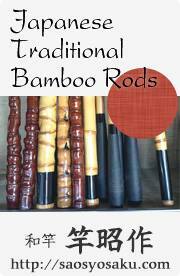 Sometimes we stay at onsen-yado in a small mountain village and fish around nearby mountain streams for several days. It is totally different from genryu fishing camp but very enjoyable fishing trip. Above all if we stay at onsen-yado, we could taste and enjoy pride of inns local cuisine at dinner and breakfast. Apart from fishing, we sometimes stay at onsen-yado for sightseeing, motorbike trip, friends meeting or party trip. Onsen are everywhere in Japan but I prefer small onsen in mountain villages. Fishing season is from the spring to the autumn, but I also like staying at onsen-yado in mountain villages in the winter. I like the atmosphere of onsen-yado and villages in the snow. Having roten-buro (open-are bath) in the snow is spectacle. If we go to mountain villages, we can find small local public onsen baths, which have been loved and kept by local people since long time ago. 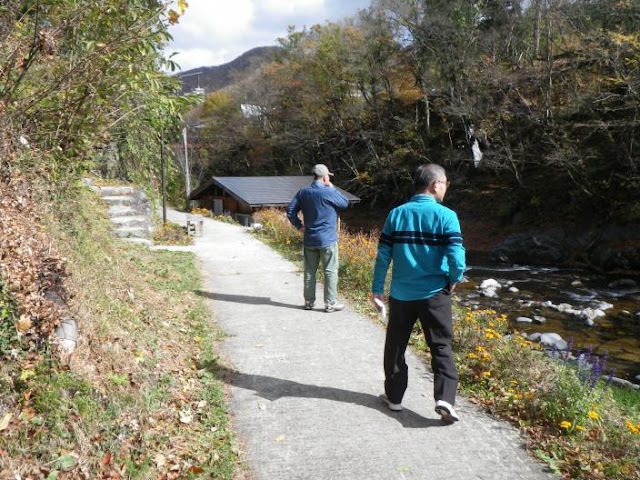 In Tohoku areas, where I often go on genryu fishing trips, we can take those public onsen baths at only US $2.00 or US $3.00. Most of those public onsen baths are unmanned and we put an entrance fee into the fare box. Some of those public onsen baths are really old. 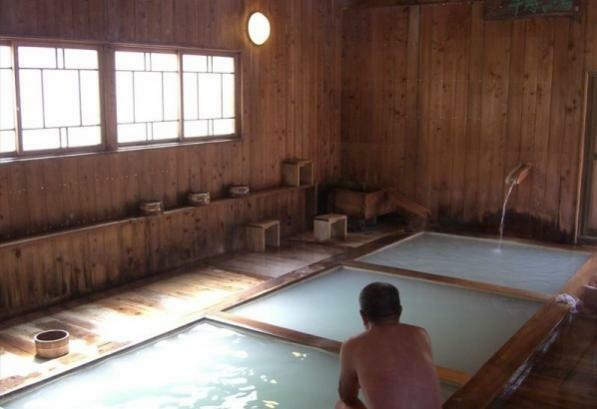 It is not uncommon to find onsen baths like hundreds of years after construction. The buildings of the onsen baths are sometimes old wooden houses, and bathtubs are also made of wood or hollowed out the natural rock. Those onsen baths have very good taste, and I really love them. 2 or 3 days, off the madding crowd, we follow iwana in the mountain stream deep in the mountains and come back to a mountain viallage to have onsen bath at such a small public onsen bath. 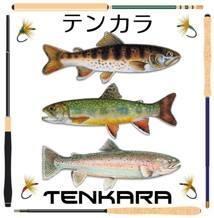 We talk each other where to go fishing next also thinking if there is any good onsen near the stream. Onsen is such irreplaceable thing for who enjoy mountains like us.